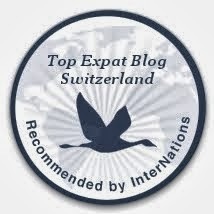 erniemcpeck - Adventures in Switzerland: Run Forrest, Run! On Tuesday 8th October I ran the furthest I have ever run in my life. 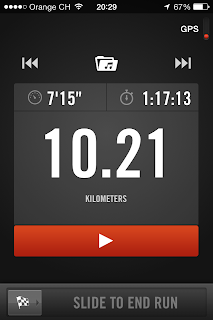 I managed 10.2km in 1 hour 17 minutes, which included some pretty tough inclines. I'm not someone who is particularly fit, given that I rarely do any exercise, so for me this was quite a tremendous feat. Back in May this year I bought myself a new pair of trainers, having decided after two jogs in April that I ought to replace my 10 year old pair that were falling apart. The plan was to jog two or three times a week, to build up some fitness and generally be healthier (it's important for me to make sure I'm around - and mobile - as Lydia grows up). Unfortunately, I didn't really keep it up. My new trainers stayed in their box until early July, when I managed to go for two jogs in the space of two weeks. After that, summer got in the way and I kind of forgot about exercising (save for one game of squash in September). Following one or two jibes from my wife, I decided to start again in October, and have now managed two jogs in two weeks again, including the personal record-breaking 10km run. Truth be told, that run took it's toll on my legs, as by the end of the run I could barely feel them or my feet. Strangely I felt as though I could have run further as I still seemed to have some energy and breath left in me, but my legs gave out on me. It took a few days to recover before I was walking normally again! I followed this run up with a 6km jog a week later, although I think I didn't stretch properly as my right calf was pretty sore during (and after) this run. 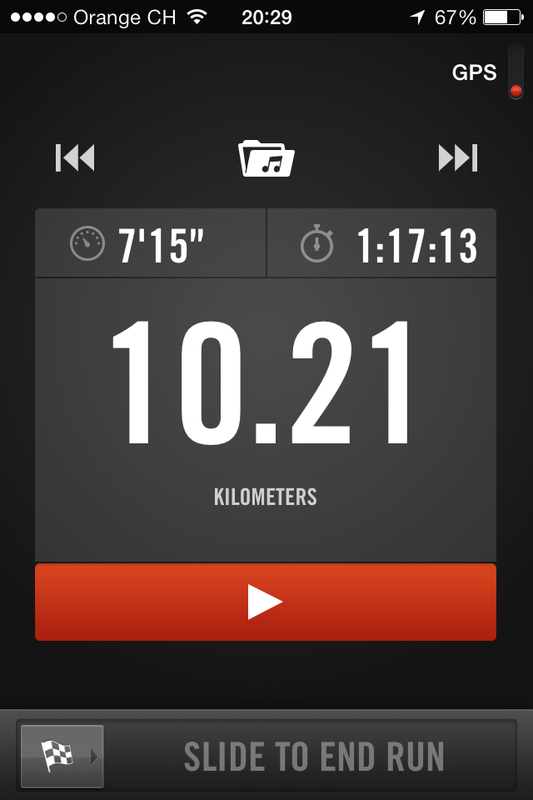 Despite this, it was still my fastest 5km ever. That night I had a scratchy throat, which slowly evolved into a full blown head cold over the next couple of days. I'm still suffering today so I don't think I will be able to make it three consecutive Tuesday jogs. I might have to delay to tomorrow, see if I'm feeling better. Given my past uselessness on the willpower front, I am determined to make it work this time. If I can at least manage one jog per week that will be a good start. Then I can slowly crank it up to the two/three per week that I am aiming for. Of course, this is all speculation at this point, and it remains to be seen how well I hold out during the cold winter months... that will be the real test of my willpower! Thinking ahead, I don't know how people manage to jog on the extremely cold winter days with icy roads...? Terrible Twos - definitely not a myth!